South Africa case studies: we currently have 9. Any agency or media owner can submit case studies to our team and these 9 are the strongest we have received, with the most recent case studies at the top of this page. If you're interested in more digital marketing case studies then review our complete case study library. If you're interested in submitting case studies then email our case studies manager to find out more CaseStudies@DigitalTrainingAcademy.com. 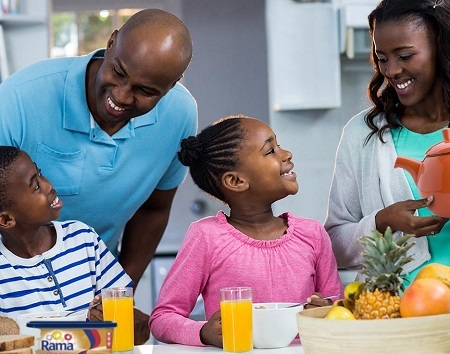 Unilever margarine brand Rama used Facebook for the first time for a campaign to relaunch its brand in South Africa, and successfully increased ad recall by 20 points. Facebook video ads delivered a strong increase in ad recall and brand awareness in South Africa for this popular food brand. South Africa may have one of the lowest maths literacy rates in the world, but it’s up there when it comes to tech literacy – the market boasts 86% mobile penetration. Using the latter to boost the former seemed a good opportunity – and laundry brand OMO, with a stated purpose of unlocking human potential – was in a good place to make it happen. Targeting feature phone users in South Africa, Unilever's laundry detergent brand OMO enforced its ‘Dirt is Good’ message to engage mums, while driving loyalty in a category where price is the main factor of purchase. To reach busy mums, OMO increased brand engagement by going beyond a simple text-and-win mobile campaign to offer rewards for repeat purchases. Using SMS campaigns to drive mobile loyalty, the opt-in consumers received special messages, offers, surveys, and other news via SMS, building an ongoing communication with the brand. Monthly reminders helped drive repeat purchases by 60 percent, and active opt-in rates of 85 percent demonstrated the value consumers gained from the new OMO loyalty program. South Africa used BBC sponsorship to drive consideration amongst adventurous travellers. The South African Tourism created a series of commercial films and reached affluent, frequent flyers through BBC World News (including sponsorship of Sport Today’s World Cup coverage) and It’s Possible South African Tourism advertising on bbc.com. Additional support for the campaign came through print advertising in Lonely Planet magazine and a dedicated microsite, which housed the films and provided extended content and competitions. The campaign delivered 26.5 million ad impressions and 48% uplift in recall amongst those exposed to the ads on BBC platforms. Users from over 200 countries and territories visited the South African Tourism microsite. This social media campaign from Cape Town Tourism invited users to take a virtual tour of the South African city, getting 350,000 highly engaged users and a 118% rise in bookings in the process. As it was impossible to send everyone to Cape Town, Ogilvy decided to send their Facebook profiles instead. During the four-month-long campaign 8,212 people played the Facebook game. Players of the game came from South Africa, the UK, USA, India, and Germany - by order of participants. Last year, Carling Black Label ran a mobile campaign inviting South African soccer fans to ‘Be The Coach’. Using mobile voting users selected the team and make live substitutions in a huge South African soccer game. This case study looks at how the campaign generated almost 450% traffic increase to its Facebook page and a 600% Twitter following increase. This iPad app from South African vodka brand Skyy makes data capture fun for the consumer, with an entertaining cocktail mixer game. Skyy realised that no-one likes form filling when it comes to registering interest with brands, so the created an iPad game to capture data in an engaging way. The firm created the app and sent promoters to bars with iPads. Beyond boosting sales, the firm claimed the app captured data to boost long term loyalty.